Closes at 6pm in the Summer. Sign Posted off the A905 in Stirling. Car Park, Gift Shop, Cafe, Guided Tours, Toilets. 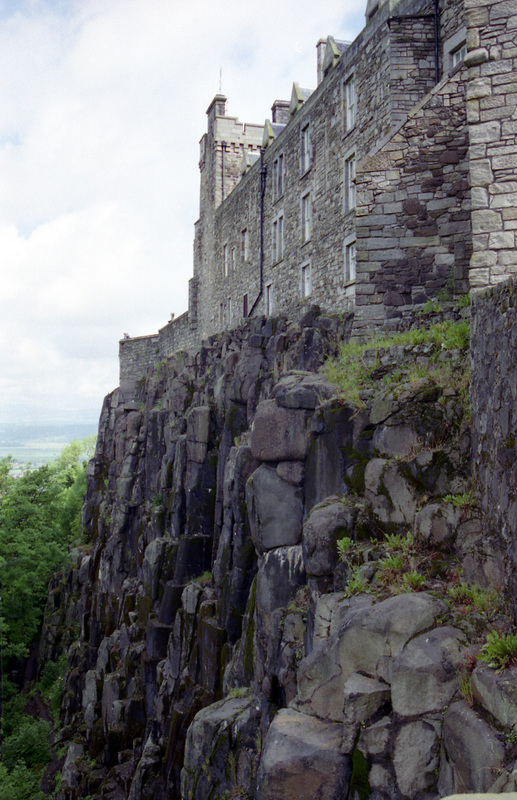 Stirling Castle resides atop volcanic outcrop above the River Forth, which protects principal north-south and east-west routes through Scotland. The first record of it dates back to 1110 when King Alexander I dedicated a new chapel at the location. He later died at the castle in 1124. Half a century later in 1174, the castle was surrendered to Henry II of England along with five other castles to secure release of King William the Lion who was captured at the Battle of Alnwick. In 1189, the castle was returned to King William by King Richard I who would die therein 25 years later. In 1291, Edward I of England took custody of Stirling Castle along with all other royal castles in Scotland while he determined rightful King of Scotland. For the next 50 years, the castle was central to the struggle for independence and occupation by rival claimants to the throne. In 1297, the army of William Wallace and Andrew Moray overthrew the English at the famous Battle of Stirling Bridge and took possession of it for a time. Although their ownership was short-lived as the English regained control of the castle the next year. The most notable siege of Stirling Castle occurred in 1304 when it existed as the only one left to the Scottish patriots. Edward I successfully attacked the fortification using fire throwing equipment and siege machine known as the “War Wolf,” most probably a large trebuchet, which destroyed the castle’s gatehouse. By 1313, Stirling Castle remained one of only four castles still under English control. Edward Bruce, Robert the Bruce’s brother, laid siege to the structure held by Sir Philip Mowbray who contemplated surrender of the castle to Scotland if assistance was not forthcoming. 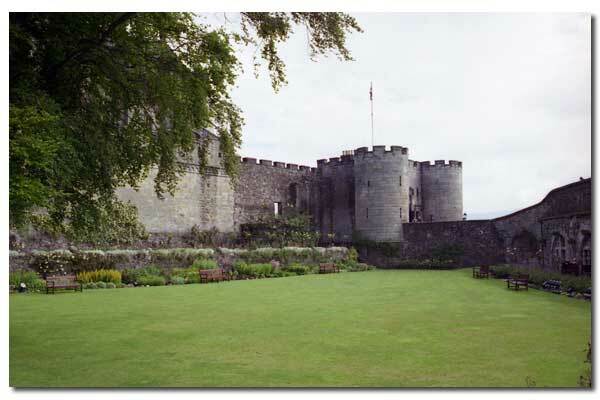 In June 1314, Edward II and his English army traveled north to Stirling to save the castle from Scottish rule. Robert the Bruce’s forces met the English at the Battle of Bannockburn, within sight of castle walls. 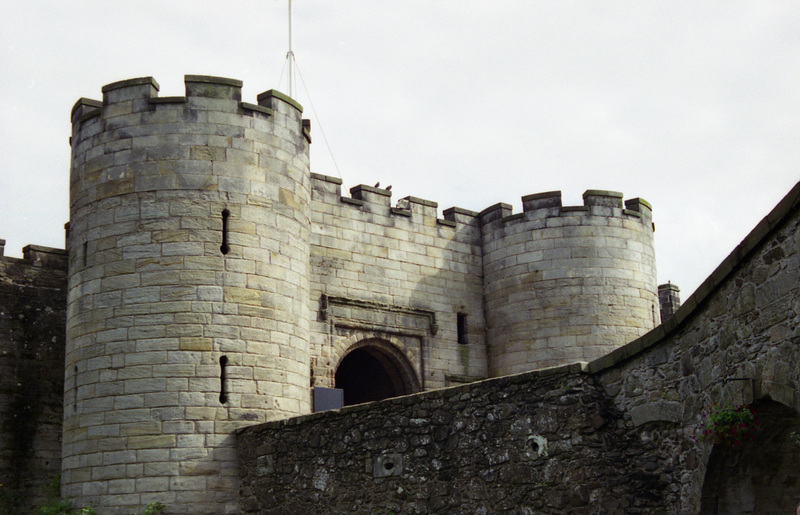 The Scottish army routed the English as Edward II attempted refuge within the castle. However, it became necessary for English inhabitants to flee after Mowbray surrendered it,. Robert then ordered the castle be partially destroyed to ensure it could no longer be utilized for defensive purposes. Turmoil in Scotland persisted long after Bruce’s reign, requiring strategic use of the castle once again. Under the reign of early Stewart King’s, Robert II and Robert III, Stirling Castle was rebuilt to include oldest parts of it that survive today from the 1380s. In addition, present day North Gate is built on the same 14th century foundation. Once again, more turbulent activity occurred at the castle when James II murdered William, the 8th Earl of Douglas and had his mutilated body ejected from a castle window in 1452. The 15th century also brought a new period of building at the castle to include the Great Hall, Forework across the main approach and royal courtyard, which is currently known as the Inner Close. In the 16th century, Stirling Castle served as location for coronation of Mary Queens of Scots, her escape from death by fire in 1561, in addition to baptism of her son, James VI in 1566 who would later become King of England and Scotland. In 1603, he moved south to accept the English crown. 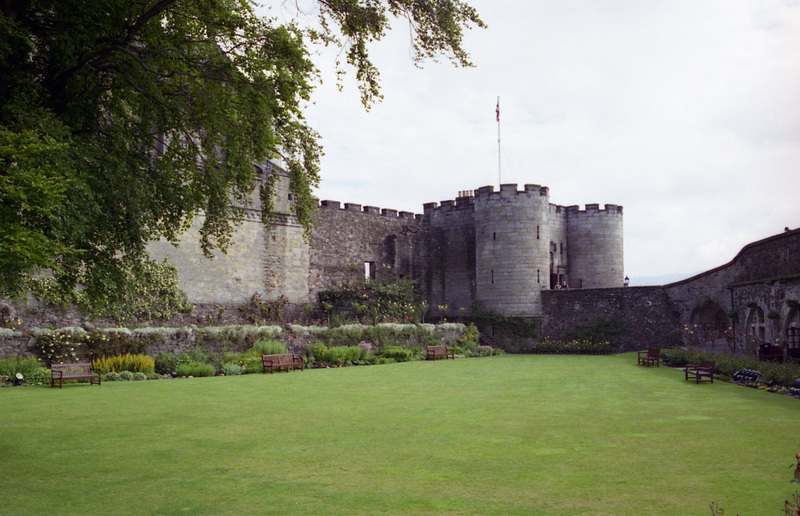 Following James' departure, Stirling Castle’s role as a royal residence waned. Over the years thereafter, several attempts were made to enhance the castle and prevent it from being “mightily out of repair.” The castle was also used as a military barracks until 1964. Stirling Castle can be seen for miles and provides a picturesque view of the surrounding valley, battlefield of Bannockburn, as well as William Wallace Monument located on nearby hilltop. Walking around north and east sides of the castle affords magnificent views of surrounding areas, as well as Grand Battery of cannons. After walking passed outer defenses of the castle and up a short ramp, you will come to the Forework with its flanking crenelated drum towers on each side of the gatehouse. Once through the Forework, you will enter the Outer Close, which includes both the Palace and Great Hall. The French Spur is also worth a visit as you exit the Forework towards the parking lot before leaving the outer defenses. It is necessary to follow the road between Palace and Great Hall to reach the Inner Close as it is entirely enclosed by four buildings, namely Palace, Great Hall, Chapel Royal and King’s Old Building. This area is considered the heart of Stirling Castle and comparable to Crown Square within Edinburgh Castle. It can take several hours to nearly an entire day to visit Stirling Castle depending upon level of exploration. If you find you have additional time for sightseeing in the area, the William Wallace monument is nearby along with Doune Castle that is located a little further towards Edinburgh.